An exchange of experiences and knowledge around new models of cultural policy which stimulate the social end economic potential of culture. The Forum wished to achieve increased exchange of knowledge and expertise in creative economy practices between UK and Macedonian experts at policy making and practitioners’ level, by exchanging the model and experiences from the UK. The Forum started with a Memorandum of Understanding for cooperation in the Creative Industries sector signed between 11 institutions, including the Ministry of Culture, Ministry of Economy, Ministry of Finance, Ministry of IT and Administration, the City of Skopje, the British Council. During the second part of the forum, a practical discussion was held where about 50 Macedonian participants and 3 UK experts discussed current trends and further potentials for development of creative industries on national and local level. 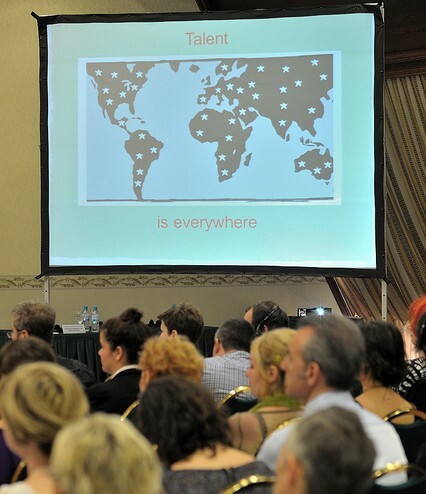 For more information about our Creative Economy work in Macedonia, please visitBritish Council Macedonia's website.